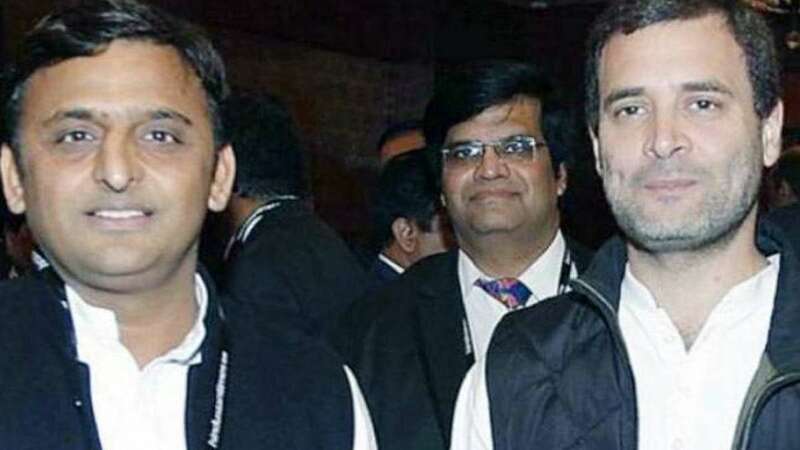 New Delhi : The Samajwadi Party-Congress alliance is likely to gain majority with 187 to 197 seats and around 35 per cent vote share in the forthcoming Uttar Pradesh Assembly polls, according to a recent survey. The ABP News-CSDS-Lokniti opinion poll, done in January, found that despite the recent family feud, Akhilesh Yadav, with 26 per cent support, continues to be the most preferred face as the next Chief Minister. However, demonetisation is not likely to play a total spoilsport for the Bharatiya Janata Party (BJP) -- which is a close second with 118-128 seats according to the survey -- as the support for note-scrapping is rising, and has clambered to 41 per cent from 35 per cent in the last one month. The third major player in the fray, Mayawati's Bahujan Samaj Party (BSP), is placed at third position with 76-86 seats, though the party is likely to do better in certain pockets including Bundelkhand, the opinion poll said. The seven-phase assembly elections in Uttar Pradesh are commencing on February 11 and would conclude on March 8. Fondness for Akhilesh Yadav is quite strong even among those who indicated a vote preference for the BJP. It was also quite high among upper castes, lower OBCs and non-Jatav Dalits, communities that have traditionally not been enthusiastic SP backers. In terms of caste and community support, not only is the SP-Congress alliance getting three-fourths support from it's core voters -- Muslims and Yadavs -- it is also picking up about one-fifth votes from communities that have traditionally overwhelmingly backed it's rivals. As many as 21 per cent of upper castes, who have traditionally voted for the BJP, were found to be voting for the SP-Congress alliance in the survey. Also, 21 per cent of non-Jatav Dalits, who have usually voted largely for the BSP, also expressed support for the alliance.